A/B testing is without doubt the poster-boy of conversion optimization methods. And if you are a regular reader of this blog, you are probably investing a lot of resources into your A/B tests. Thanks to these efforts, a decent percent of your visitors might convert, but chances are that you are missing out on a bigger number. Is there a way to supercharge your results? Although A/B testing is a great way to find your best message, it has its limits as well: you simply can’t communicate to everyone. You may find the message that resonates with the largest visitor segment, but there will be other segments that are not receptive to your primary message. That’s where traditional retargeting comes into play: targeting non-converting visitors at a later time. It gives you a chance to communicate to abandoning visitors — and to convince them. But retargeting has its limits as well: you can only reach a limited percent of abandoning visitors, and it costs money – quite a lot in fact, and unless you’re a big brand with a healthy retargeting spend, it’s very likely that you aren’t reeling in all abandoning users. 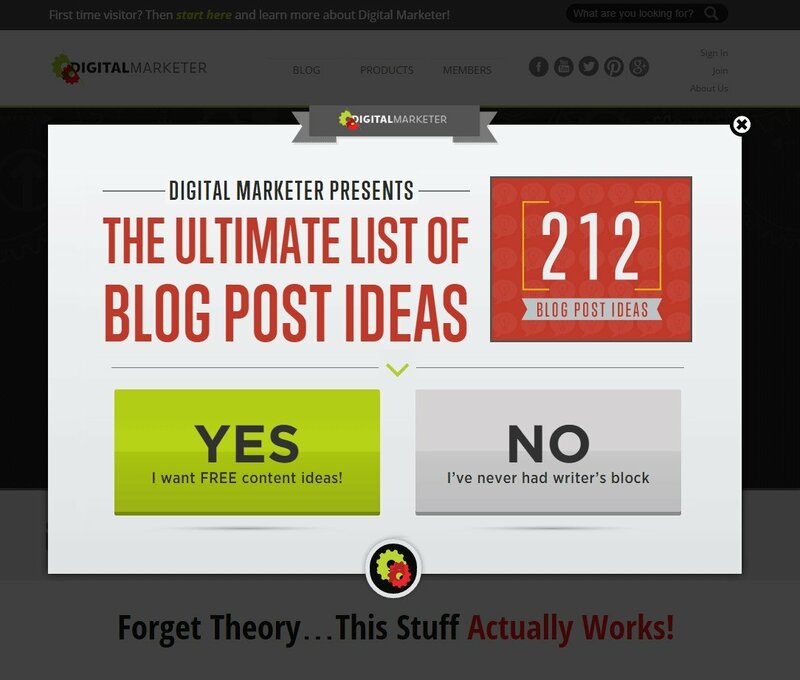 What if I showed you a way to get a second chance to convert visitors BEFORE they left your site? What if I told you, that with onsite retargeting you can double your chances to convert, and you can try your second best message? We call the traditional, PPC based retargeting offsite retargeting — because you retarget visitors AFTER they’ve left your site. But there are ways to get a second chance with your visitors BEFORE they leave your site – and second chances are rare in online marketing. What would a second page view mean for your optimization efforts? Onsite retargeting is about monitoring the behaviour of your visitors, and if their behaviour indicates that they are about to leave your site, retargeting them with a secondary message at the right moment. 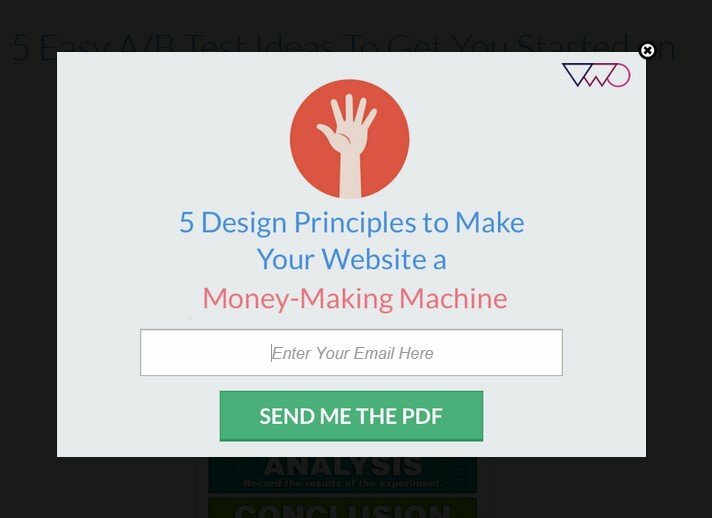 This message is usually presented in a special type of popup (it is usually referred to as exit-intent popups), but there are several other display formats available. 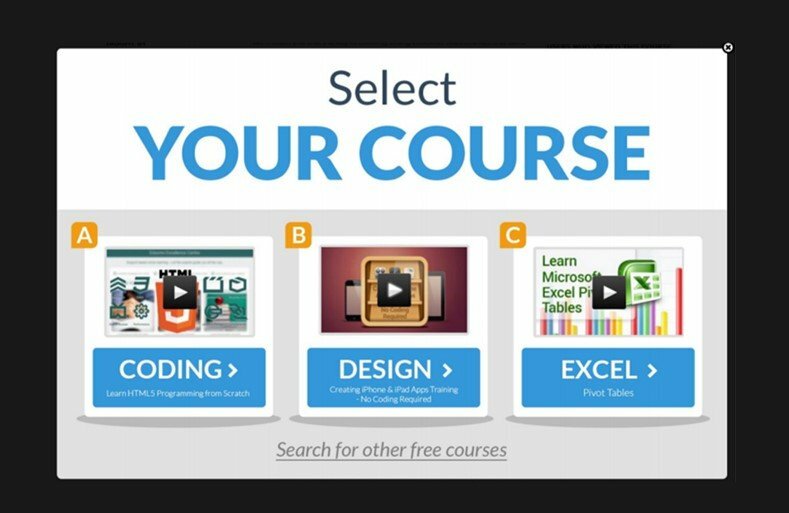 What Kind of Behaviour Indicates User’s Exit Intent? The most widely accepted indicator of exit intent is movement of the mouse. When a visitor moves the mouse out of the page with the ‘right’ speed and the ‘right’ velocity, your message should appear. But you can use other engagement related metrics as well, like showing a popup based on time spent on page (are they browsing that page too long? ), or scroll behavior (have they finished reading the content, and now scrolling back? It is especially useful in mobile browsers), etc. The best onsite retargeting platforms support several popup trigger events. Now that you know what onsite retargeting is about, let’s see how you can use it to boost your A/B testing results. The primary message to visitors is usually centered around selling, or some harder conversion, like requesting a quote. Which is justified, since you paid a lot to acquire them, and this is where you make your money, right? Can you communicate to visitors in all stages? Not likely, but you can definitely double your chances with onsite retargeting. You can push your sales messages to visitors in more advanced stages (who are already considering buying a solution for their needs), and you can back this primary message up with onsite retargeting campaigns specifically designed to convert early-stage visitors. Everyone loves FREE. Offering a free giveaway as an incentive is a great way to get people to sign up for your subscriber list. It’s a direct application of Cialdini’s principle of reciprocity — by giving something for free, a user is much likelier to return the favor by sharing his contact details. 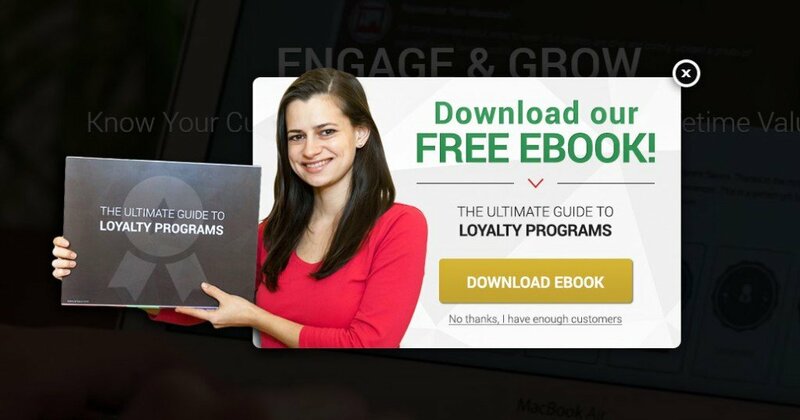 An ebook is one of the best free giveaways. 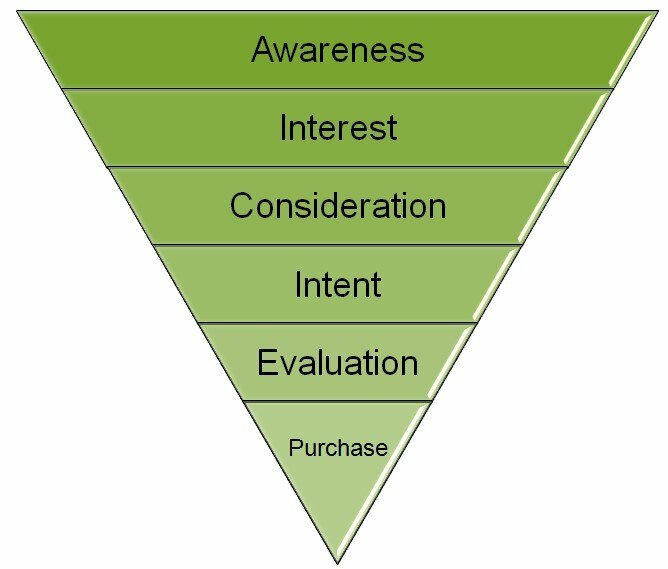 Optimizing for conversion often means that you have to push your offers in a more intrusive manner than you feel comfortable with. For example, you have to emphasize your lead magnet and your subscription box on your blog – but let’s admit that does not usually add to user experience. When you have to make a choice between user experience and conversions, picking one is never easy. 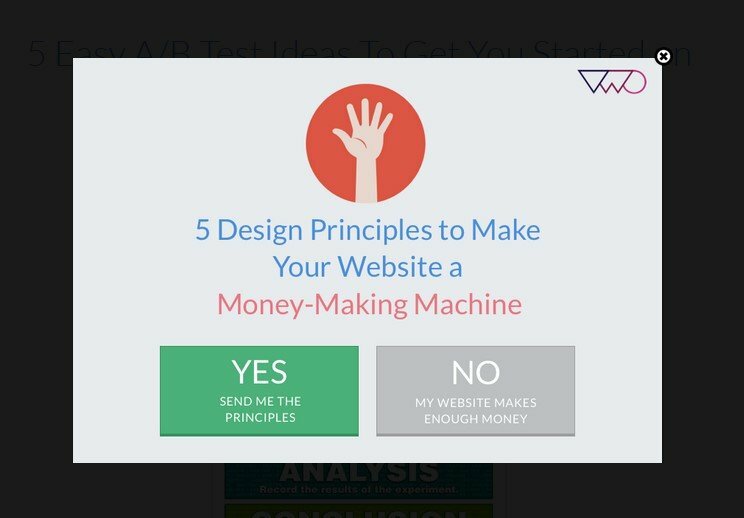 You must be thinking: right, and how will a popup help with that? The words ’pop-up’ and ’better user experience’ are rarely used together. We are used to annoying popups, which jump up at just the worst moment, blocking our view of the actually relevant content. Well, onsite retargeting can help with that. First of all, the retargeting message will be triggered at just the right moment. After all it will be shown when the visitor has just finished reading, and is about to leave your site – you are not distracting them while they are still browsing. Plus, onsite retargeting allows you to optimize the original content better for user experience. You can make that subscription box a little less loud, and show your offer in an eye-catching format when visitors are about to leave. Is this kind of message annoying for an engaged visitor? Not likely. Can it help you? 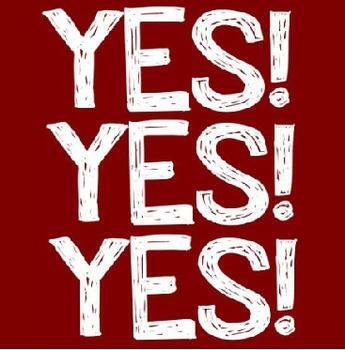 Sure it can: you can redirect your visitors to your best content, and increase the chance of converting them. You might have hundreds of landing pages (or regular pages) with significant traffic, but chances are you do not have the resources to optimize all these pages to the same level. More than likely there are a few top pages that you concentrate your optimization energies on. Onsite retargeting can help you there as well: you can redirect abandoning visitors to these most optimized pages. 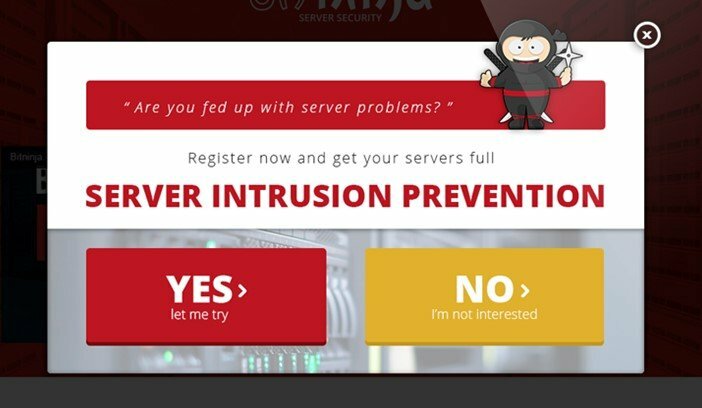 Bitninja, a leading server-security startup uses onsite retargeting to push users towards their most optimized sign up page (for free trial). Using onsite retargeting they increased the number of trial users by 65%. You have lots of visitor segments and customer groups, and they don’t respond the same way to each message. You should try to communicate messages that are relevant to the particular segment. 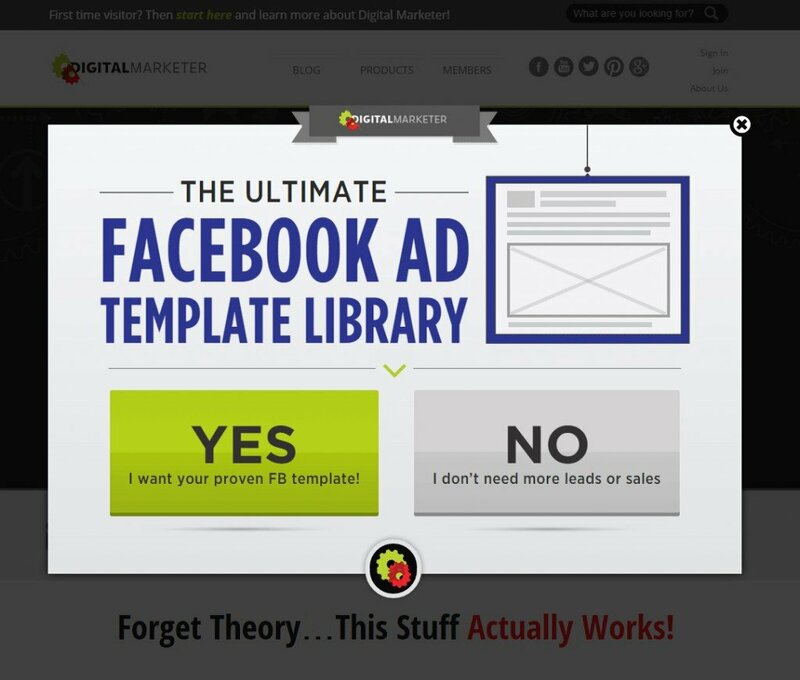 You can do that with onsite retargeting campaigns. 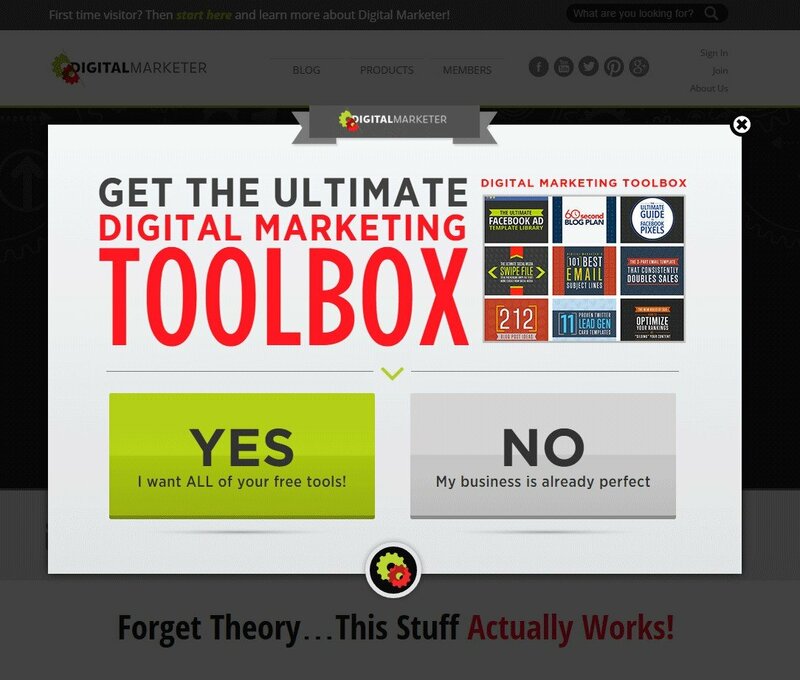 Digital Marketer promotes the most relevant giveaway to each visitor of theirs. Who told you that you can only test the primary message? You can test your onsite retargeting messages as well, and essentially double your test opportunities. Conversific.com tested two different headlines in their onsite retargeting message, and the winner variation outperformed the other by 47 percent. Is Onsite Retargeting For You? If you are serious about improving conversions, then onsite retargeting is a great option to look into. You want to use an onsite retargeting solution that allows you to easily set up and test different ideas without the need of coding. With the right software setting up your onsite retargeting campaigns can be done in hours, or in days at maximum if you have a more complex website with lots of different messages to communicate. When done correctly, onsite retargeting will help you make your A/B testing efforts more effective by recovering users before they abandon your page, and giving you a second chance to convert them. It’s your time to tell us now. Have you used onsite retargeting and how was your experience? Share your views, let’s all head back home a little wiser. You talked about how mouse movement can indicate that person is about to leave and that a message should appear whenever he mouses over the right. My question is how do you track this and make the pop-up appear when that happens? Such triggers work on algorithms and most such products (for instance, getrooster) have such algorithms built in, launching the pop-up only when an ‘exit intent’ is displayed by the mouse movement.